Freda Betti (26 February 1924 – 13 November 1979), whose birth name was Frédérique Thérèse Augusta Betti, was a French mezzo-soprano singer whose career was mainly confined to France. She left a range of recordings representative of her repertoire. 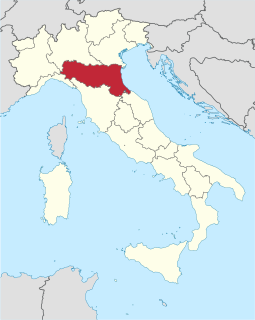 Emilia-Romagna is an administrative region of Northeast Italy comprising the historical regions of Emilia and Romagna. Its capital is Bologna. It has an area of 22,446 km2 (8,666 sq mi), and about 4.4 million inhabitants. The Conservatoire à Rayonnement Régional de Nice is the regional music and dance conservatory for Nice, founded in 1916. Betti sang on major national stages  (Nantes, Nice, Strasbourg, Toulouse) and European (Monte-Carlo, La Scala), as well as in numerous opera festivals, including Aix-en-Provence, Avignon, Bayreuth. The Théâtre Graslin is a theatre and opera house in the city of Nantes in France. Created in a new district of the city in the late 18th Century by the local architect Mathurin Crucy and named after the owner of the land, Jean-Louis Graslin. Built in the Italian style, the auditorium holds 823 people. The Opéra de Nice is the principal opera venue in Nice, France. The Strasbourg Music Festival was a prominent annual two-week festival of classical music. It took place in Strasbourg (Alsace), France every month of June. The festival was founded in 1932 and has been organised by the Strasbourg Friends of Music Society. Due to budget constraints, it was brought to a sudden halt in 2014, a few days before the start of the 76th edition. Betti recorded for Philips and EMI. Among published recordings she took part in were The Snow Maiden (Bobilicka),  Démophon ,  Tosca (shepherd boy)  and Philippine (Isabelle). In 1958 she recorded excerpts from Carmen with Ken Neate, Gabriel Bacquier and Andréa Guiot on Philips P 77118 L.
EMI Records Limited was a British record label founded by the music company of the same name in 1972 as its flagship label, and launched in January 1973 as the successor to its Columbia and Parlophone record labels. The label was later launched worldwide. It has a branch in India called "EMI Records India", run by director Mohit Suri. Démophon is a French-language opera by the composer Johann Christoph Vogel, first performed at the Académie Royale de Musique on 15 September 1789. The libretto is by Philippe Desriaux. The second and last of Vogel's operas to be staged, it was premiered after the composer's death at the age of 32 the previous year. Gilbert Bécaud was a French singer, composer, pianist and actor, known as "Monsieur 100,000 Volts" for his energetic performances. His best-known hits are "Nathalie" and "Et maintenant", a 1961 release that became an English language hit as "What Now My Love". He remained a popular artist for nearly fifty years, identifiable in his dark blue suits, with a white shirt and "lucky tie"; blue with white polka dots. When asked to explain his gift he said, "A flower doesn't understand botany." His favourite venue was the Paris Olympia under the management of Bruno Coquatrix. He debuted there in 1954 and headlined in 1955, attracting 6,000 on his first night, three times the capacity. On 13 November 1997 Bécaud was present for the re-opening of the venue after its reconstruction. The Théâtre des Champs-Élysées is a theatre at 15 avenue Montaigne in Paris. The theater is named not after the Avenue des Champs-Élysées, but rather after the neighborhood in which it is situated. Paul Ferrier was a French dramatist, who also provided libretti for several composers, especially Varney and Serpette. Alexandre Charles Lecocq was a French composer, known for his opérettes and opéras comiques. 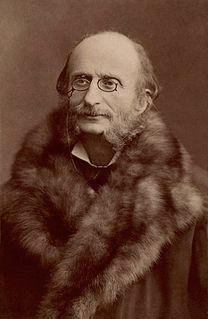 He became the most prominent successor to Jacques Offenbach in this sphere, and enjoyed considerable success in the 1870s and early 1880s, before the changing musical fashions of the late 19th century made his style of composition less popular. His few serious works include the opera Plutus (1886), which was not a success, and the ballet Le cygne (1899). His only piece to survive in the regular modern operatic repertory is his 1872 opéra comique La fille de Madame Angot. Others of his more than forty stage works receive occasional revivals. Paul Bonneau was a French conductor, composer and arranger, whose career was mainly in the field of light music and films. 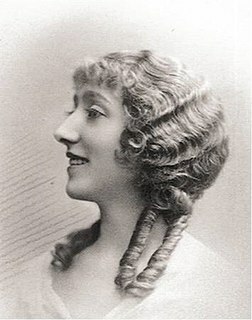 Mady Mesplé is a French opera singer, the leading high coloratura soprano of her generation in France, sometimes heralded as the successor to Mado Robin. Paul Jules Barbier was a French poet, writer and opera librettist who often wrote in collaboration with Michel Carré. He was a noted Parisian bon vivant and man of letters. Le médecin malgré lui is an opéra comique in three acts by Charles Gounod to a French libretto by Jules Barbier and Michel Carré after Molière's play, also entitled Le Médecin malgré lui. Janine Micheau was a French operatic soprano, one of the leading sopranos of her era in France, particularly associated with lyric soprano and coloratura soprano repertory. Jacqueline Brumaire was a French operatic soprano and later teacher. Juliette-Joséphine Simon-Girard was a French soprano, principally in operetta. Her father, Philippe Lockroy, was an actor at the Comédie Française, and her mother was Caroline Girard, of the Opéra-Comique. Désiré was a French baritone, who is particularly remembered for creating many comic roles in the works of the French operetta composer Jacques Offenbach. Désiré was a stage name; the artist's real name was Amable Courtecuisse, but for most of his life he was generally known as Désiré. Michel Trempont is a Belgian operatic baritone whose repertoire extends from the 18th century to the creation of contemporary works. His brother was Pol Trempont (1923–2007), operatic tenor and one time director of the Théâtre de Mons. Maître Péronilla is an opéra bouffe in three acts of 1878 with music by Jacques Offenbach. The French libretto was by the composer with Charles-Louis-Étienne Nuitter and Paul Ferrier. Germaine Cernay, born Germaine Pointu was a French mezzo-soprano who was active both in the opera house and on the concert platform. Henri Betti, born Ange Betti, was a French composer and a pianist. André Balbon was a French bass opera singer, born in Paris, in 4 June 1902 and dead in Alicante (Spain), in 30 March 1984. He was principally active in France in character roles. Jules Gressier, (24 June 1897, Roubaix - 27 June 1960, Aix-les-Bains was a French conductor, particularly associated with lyric repertoire and with operetta. Nadine Renaux was a French soprano, active in opera and operetta in France from the 1930s to the 1960s. Jean-Christophe Benoît was a French baritone, who enjoyed a long career in France and francophone countries on the stage, the concert platform and radio and television. He was born in Paris on 18 March 1925 into a musical family. Albert Millaud was a French journalist, writer and stage author, born in Paris, 13 January 1844, and died in the same city on 23 October 1892. Alfred Duru was a 19th-century French playwright and operetta librettist who collaborated on more than 40 librettos for the leading French composers of operetta: Hervé, Offenbach, Lecocq and Audran. ↑ Years of birth and death in the German National Library accessed 27 December 2014. 1 2 3 4 Obituary for Freda Betti in Opera , Vol 31, p299, 1980. accessed 27 December 2014. ↑ Listing of 1955 radio recording of The Snow Maiden conducted by Charles Bruck at the Operadiscography site accessed 27 December 2014. ↑ Listing of 1960 studio recording of Tosca conducted by Manuel Rosenthal at the Operadiscography site accessed 27 December 2014. ↑ L'encyclopédie multimedia de la comédie musicale théâtrale en France (1918-1944), Delannoy's Philippine accessed 27 December 2014. ↑ Freda Betti page at the Association de l'Art Lyrique Français website accessed 13 July 2015.